Born in Lodz, Poland, Pawel Checinski (Pah-vel Hen-chin-ski) began piano studies at the age of six. He completed his elementary and intermediate education in schools for the musically gifted. At the Music Academy in Warsaw, he studied with two of Poland’s most renowned pedagogues, Zbigniew Drzewiecki and Ryszard Bakst, and received the Master of Arts degree with honors. In l971, Mr. Checinski was awarded a Fulbright Grant by the U.S. Department of State to continue his studies at The Juilliard School where he earned both a Master of Music degree and a Doctor of Musical Arts degree under Mieczyslaw Munz. He also studied with Leon Fleisher and Aube Tzerko. For several years he worked extensively under the guidance of his mentor, the legendary Claudio Arrau. Successful in numerous international competitions, Mr. Checinski received a special award in the Chopin International Competition in Warsaw and was a prize winner in the Smetana International Competition in Czechoslovakia and the International Piano Competition in Sydney, Australia. He won first prize at the National Competition for Music of the Classic Era that was held in Poland. In l972, Mr. Checinski won the Concert Artists Guild Annual Auditions in New York and the Temple University Music Festival Concerto Competition in Pennsylvania. Additional awards include the Rachmaninov Prize at the Second International Competition of Guanabara in Rio de Janeiro and the Ravel Centennial Medal at the first Robert Casadesus International Piano Competition in Cleveland. He has been praised for his incisive interpretations of contemporary Polish music, particularly that of Karol Szymanowski, for which he received the Szymanowski Medal from Poland. Pawel Checinski made his first major appearance outside of Poland at the Moscow Conservatory. His reputation as an outstanding and highly original interpreter of the music of Chopin secured his premiere performance in the West, which took place at Wigmore Hall in London, England. His U.S. debut occurred at Carnegie Recital Hall in New York, which led to performances in places such as New York’s Lincoln Center, Philadelphia’s Academy of Music, and Chicago’s Auditorium Theatre and Orchestra Hall. 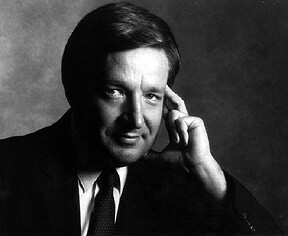 He has been a featured artist on the Dame Myra Hess Concert Series in Chicago and on the Phillips Collection recital series in Washington, D.C. Mr. Checinski performed an all Szymanowski concert in New York as a centennial celebration of the composer’s birth, and a commemorative recital of works written for and dedicated to Artur Rubinstein. He was the soloist at the inaugural concert of Chicago’s Symphony II orchestra. Pawel Checinski performed what is believed to be the Chicago premiere of Chopin’s Fantasy on Polish Airs with orchestra. In 2005, he appeared at Orchestra Hall to once again bring this composition to the Chicago concert stage. An influential teacher, Mr. Checinski’s teaching history includes positions at Pennsylvania State University, the University of British Columbia, Columbia College (SC), and Roosevelt University’s Chicago College of Performing Arts (Artist-in-Residence). He has conducted master classes in the United States, Poland, Canada, and across Asia. Pawel Checinski has frequently performed recitals devoted entirely to the music of one composer. These recitals presented the music of Mozart, Beethoven, Chopin, Schumann, Liszt, Brahms, Ravel, Scriabin, Szymanowski, and Prokofiev. He has appeared as a soloist with many orchestras. His repertoire with orchestra includes Beethoven’s five piano concerti, all of Chopin’s works for piano and orchestra, Rachmaninoff’sRhapsody on a Theme by Paganini, Szymanowski’s Symphonie Concertante, and other concerti of many composers.